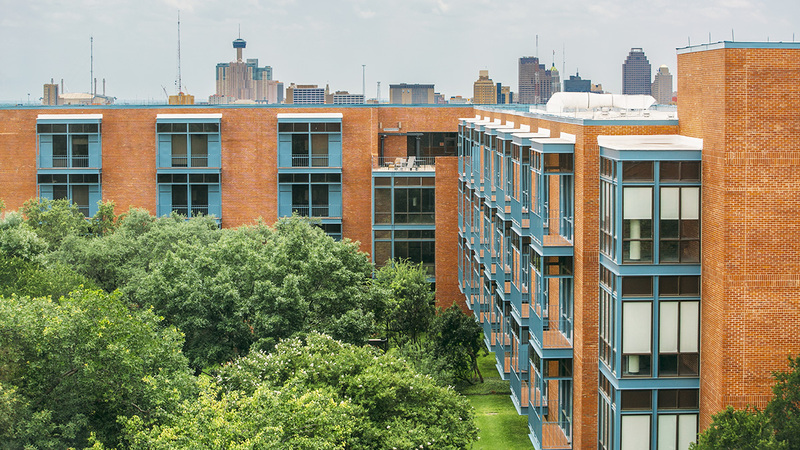 In 1948, architects O’Neil Ford and Bartlett Cocke, with consulting architect, William Wurster, created a master plan for the university, a Presbyterian institution in San Antonio, Texas. The rugged former quarry site north of downtown required an informal arrangement of buildings that exploited the natural drama of the site. 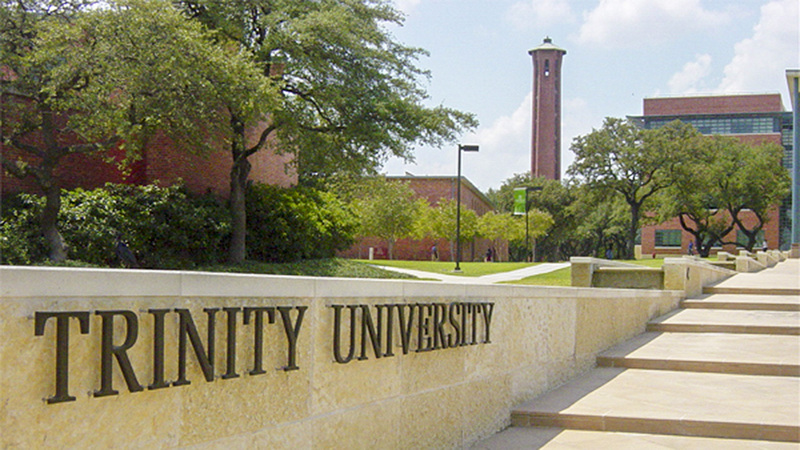 The resulting plan was a departure from traditional campus design in America. There is no formal mall or great lawn. Roads curve and dip in response to topographical contours. Individual buildings are fitted to the land, capturing views of the city’s skyline. 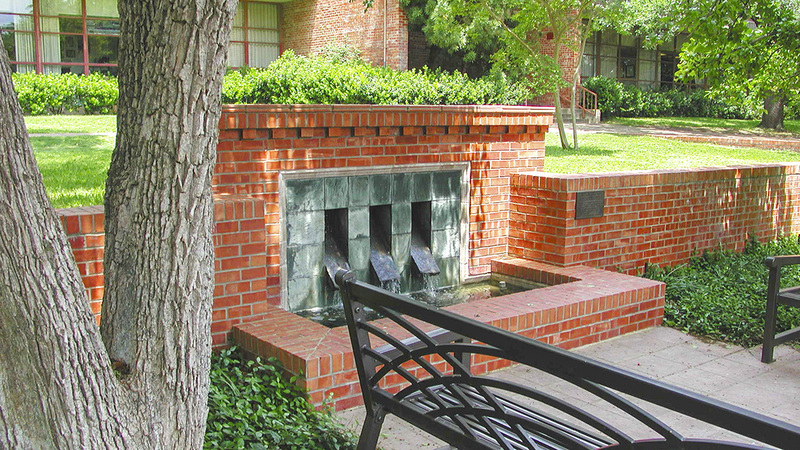 A series of pedestrian precincts contain intimate spaces for relaxation and conversation. 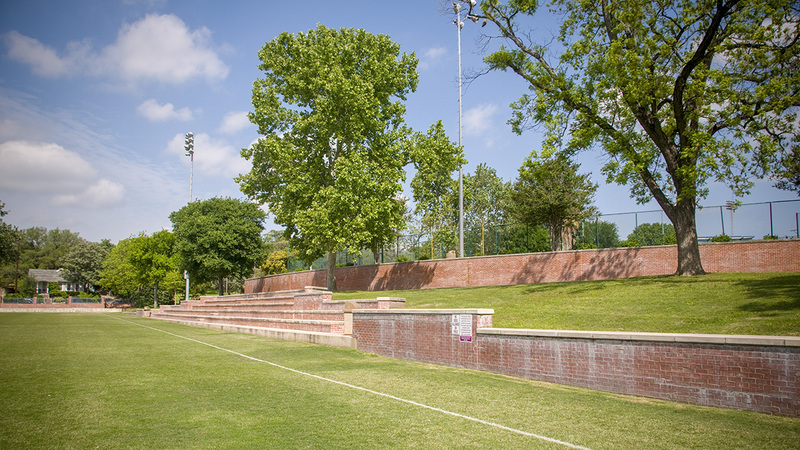 Dallas landscape architects Arthur and Marie Berger prepared the original landscape design for the campus and worked with the architectural team to site new construction. 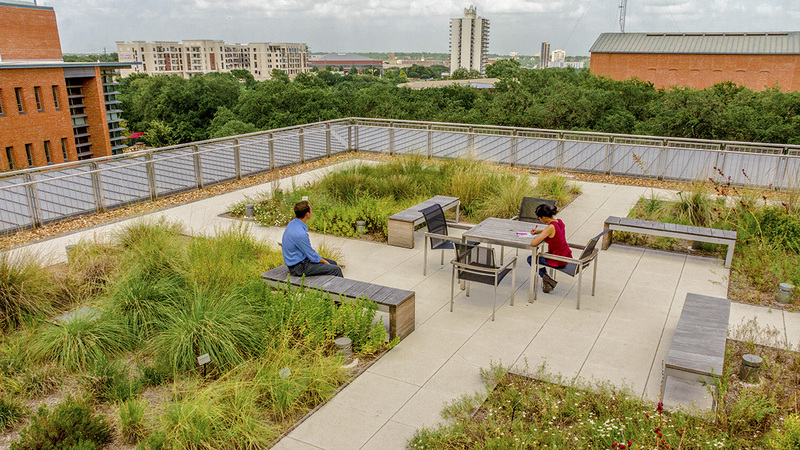 Their straightforward design approach takes advantage of the landscape’s inherent qualities. 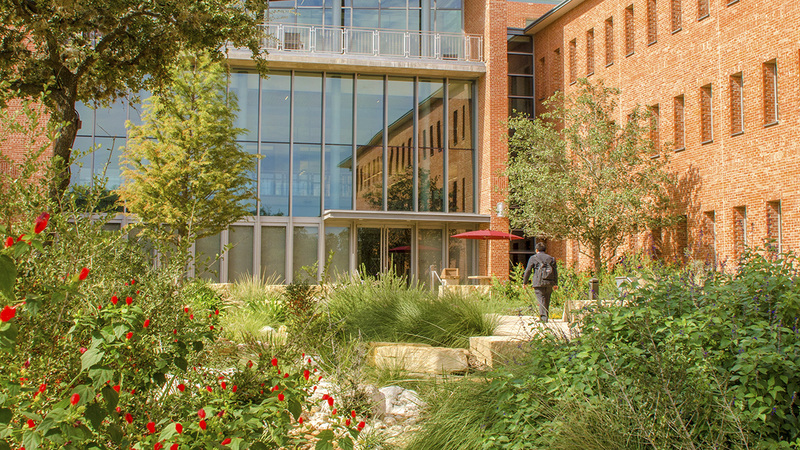 In response to the tight budget of the new campus, the Bergers utilized native plants to minimize maintenance costs. 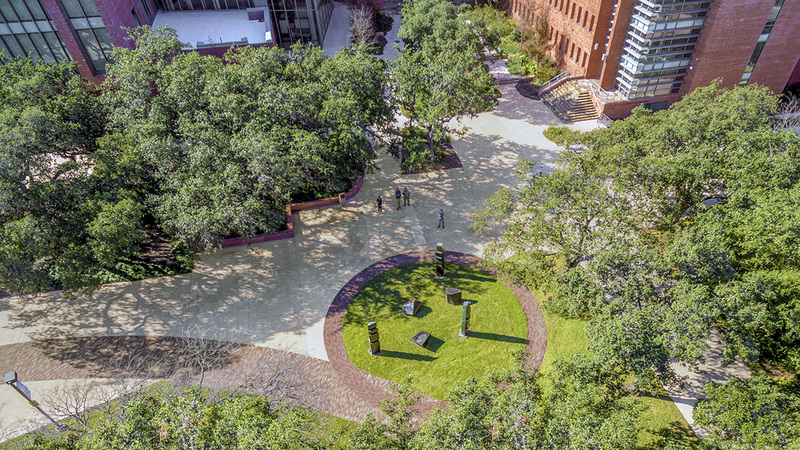 Drifts of live oaks border pathways, ground covers drape over quarry walls, and small courtyards include water features with occasional waterfalls and pools. 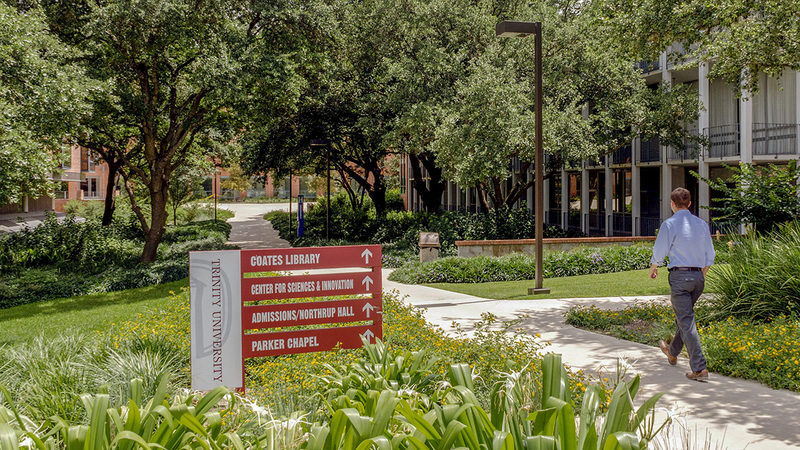 During Ford’s 33-year association with the campus, San Antonio landscape architect Stewart King collaborated with him on several major projects.